How much is David Pecker Worth? David Pecker net worth and salary: David Pecker is an American businessman who has a net worth of $11 million. 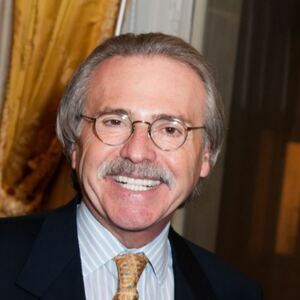 David Pecker was born in The Bronx, New York City, New York in September 1951. He is the chairman and CEO of American Media Inc. To be clear, he does not OWN American Media Inc., he is merely the company Chairman. As Chairman Pecker is the publisher of several magazines including National Enquirer, Sun, Star, Weekly World News, Men's Fitness, Globe, Flex, Muscle and Fitness, Shape, Fit, and Pregnancy. He was involved in controversy in 2018 when some claimed he was buying the rights to negative stories about his friend Donald Trump and preventing them from becoming public during his presidential campaign in 2016. Pecker started out in accounting and worked at CBS's magazine division. He was formerly the CEO of Hachette Filipacchi Media U.S. which produced the Trump Style magazine and Pecker and Trump became close friends. The two met at Trump Tower in 2014 and Pecker told Trump he would catch and kill any sexual affair allegations against him through the National Enquirer. Pecker was also allegedly behind the uncovering of Jeff Bezos' relationship with Lauren Sanchez. David Pecker Salary, Assets and Net Worth Details: David's base salary in most years is $1.75 million. In good years that number can balloon to $3 or $4 million with various bonuses. In 2015 he earned $4.4 million thanks to an unusually large incentive bonus. He lives in a home in Boca Raton, Florida that was purchased in 2015 for $2.82 million. Today the home's estimated value is $3.75 million.